First of all, thank you so much for taking the time to attend this important event. This is one of the most important challenges humanity has ever faced and your voice will help us grow a movement large enough to make a difference! Students get dropped off on the green of the Vermont College of Fine Arts. There will be a number of activities to engage in, such as making signs for the march, face painting, and participating in the Maple Mosaic and Youth Voices art projects. We will march in solidarity to the Statehouse lawn. 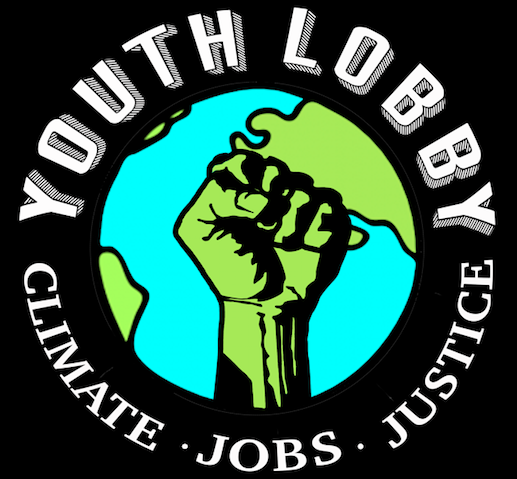 Student lobbyists from each school will have the chance to speak directly with their State Representatives on climate related issues. This is also the time to eat lunch (we ask everybody to bring their own lunch), and get informed by visiting the tables and booths on the lawn. You will have the chance to continue visiting the tables and booths and/or engage with students from other schools in a dialogue about how to follow up on our rally. Your busses will pick you up on the side of the Statehouse between 1:30 pm and 2:15pm. Please ask your faculty advisor what time your school will be leaving and please be prompt. If you are not there on time, it will hold everybody else up -which could jeopardize our ability to host events like this in the future. Please remember to be respectful at all times. All normal school rules apply. This is a rally, not a protest. We are encouraging all students to be positive and productive. Please be good environmental stewards by picking up trash whenever and wherever they see it. We want to leave the Montpelier cleaner than we found it. Remember to leave no trace. Please dress appropriately for the event and look professional. Please stay on the Statehouse lawn and refrain from wandering elsewhere. 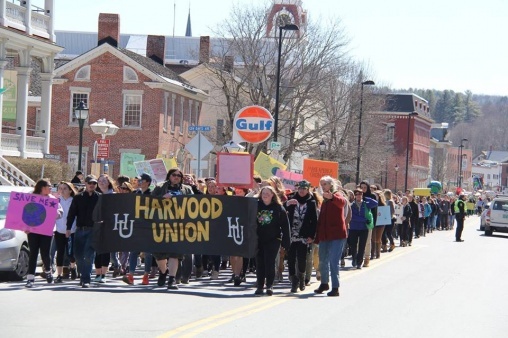 While there will be some supplies and an opportunity to create banners and signs from 9am-10am at the Vermont College of Fine Arts Green, we are asking you to create most of your signs ahead of time. 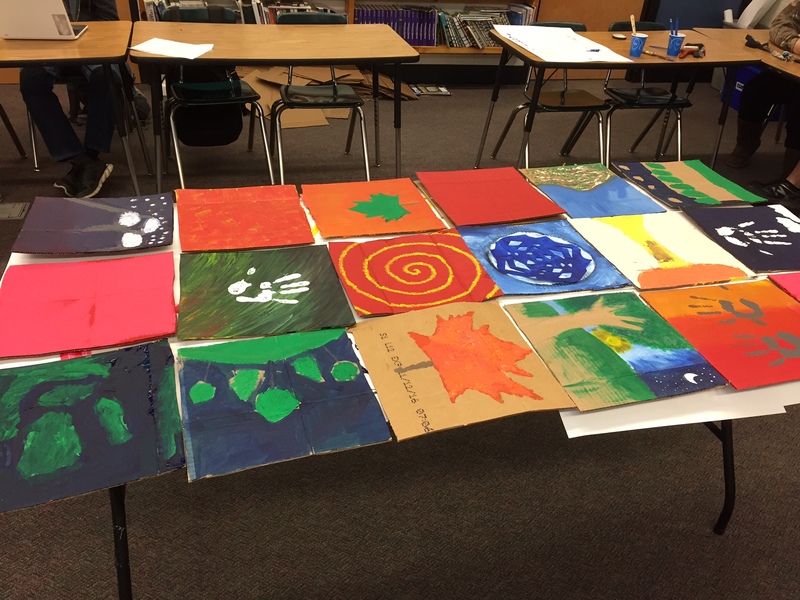 Try hosting a Banner/Poster making party at your school! 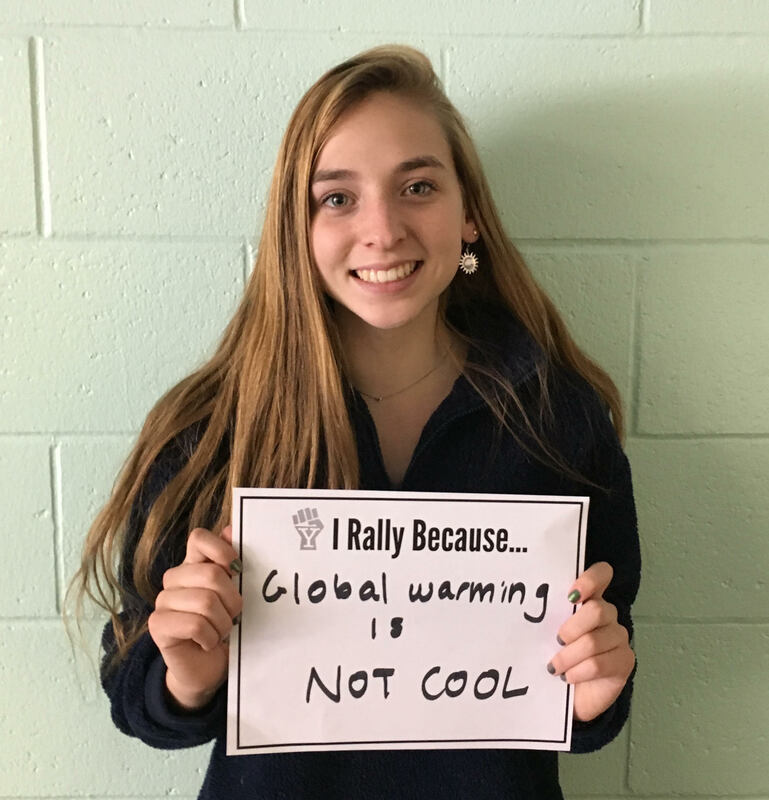 We are also asking you to bring your banners and signs back to your schools and use them to create some sort of large art installation that can be used to educate other students about the event. We’d love to get photos of these art installations for use in video that is being produced about the day. There will be a number of tables where you can learn more about climate change, energy alternatives, and proposed climate change legislation. Check out the Youth Lobby Table when you get to the statehouse to learn more about the scavenger hunt where you can earn Youth Lobby tattoos, buttons, and stickers!!! We are encouraging you to visit the tables by offering you Rally Points, which can be redeemed at the Youth Lobby table for free gifts – stickers, tattoos, buttons, and perhaps even an official Youth Lobby T-Shirt. We have 15 limited edition, black, short-sleeve, organic cotton, 2017 Youth Lobby T-shirts – made right here in America, and custom printed in VT by Deerfield Designs. If you check out the agenda you’ll see that there is some time set aside during the lunch hour for you to meet with your elected officials on the lawn. 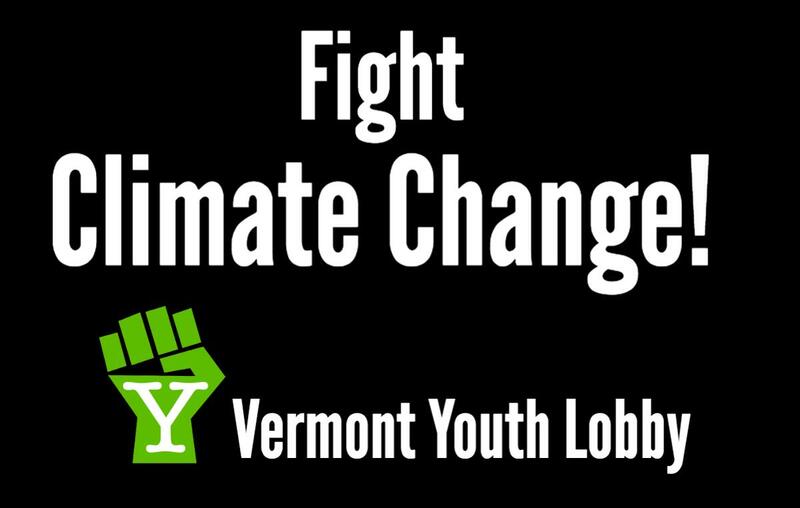 When you arrive at the Vermont College of Fine Arts a Youth Lobby Greeter and/or a VPIRG volunteer will hand the contact person from your school a large sign with your school’s name on it. As we announce your State lawmakers, we ask that somebody in your group holds the sign up high enough for you to see where you are located. Your lawmaker will come meet you to discuss the issue of climate change and the related legislative efforts they are supporting to address the issue. If you are interested in a more advanced level of lobbying, please email Emma Schoenberg (eschoenberg@vpirg.org) – she will help coordinate that opportunity. Below are some useful resources you can use to become better informed about climate change and proposed legislative efforts to address the problem.